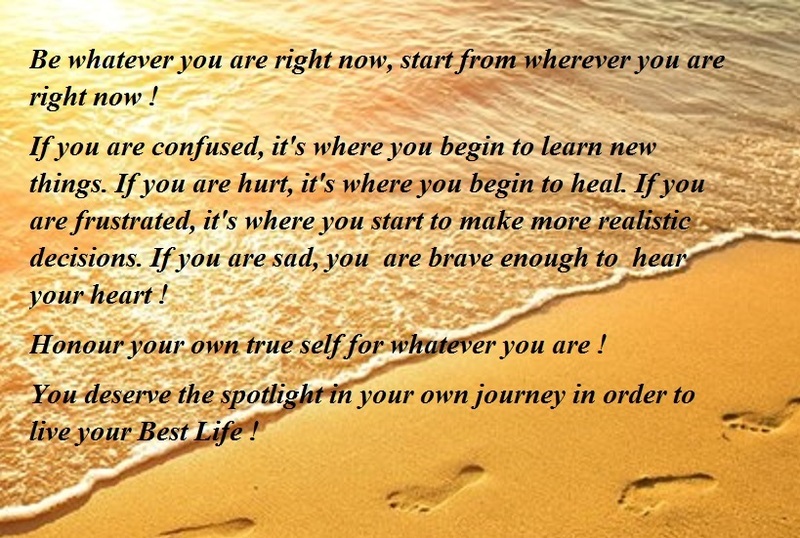 The Dove's Corner: Everyone deserves the spotlight in their own journey ... #daily dose of inspiration ! Everyone deserves the spotlight in their own journey ... #daily dose of inspiration ! If you are confused, it's where you begin to learn new things. your heart ! Honour your own true self for whatever you are ! You deserve the spotlight in your own journey in order to live your Best Life ! If only all of us knew and could sense how important we are to our own happiness ! Everyone deserves the spotlight in their own journey in order to live their Best Life .